Our main inspiration behind this project was to integrate the Myo armband with Unity and learn more about the artificially intelligent bots we could compete with. 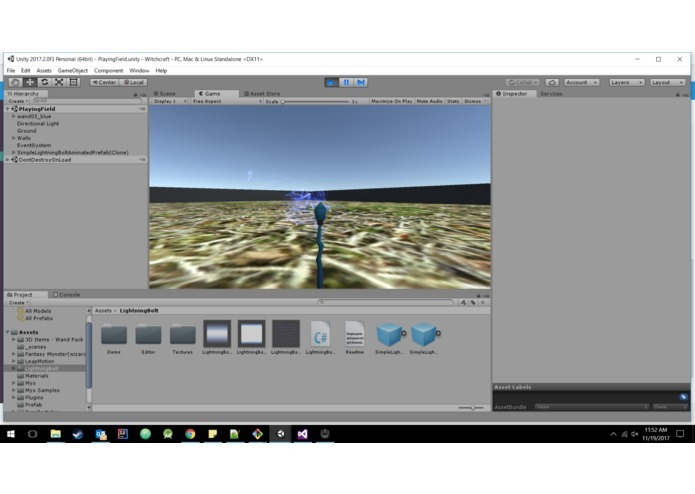 We successfully created a 3-D competitive game using Unity and Myo armband. Compete against the bot using different gestures to cast spells and attack! The Myo armband is used to move and attack the AI bots using different hand gestures. AI bots are programmed to constantly search for the player to attack using Predictive Modeling and Pathfinding Algorithms. 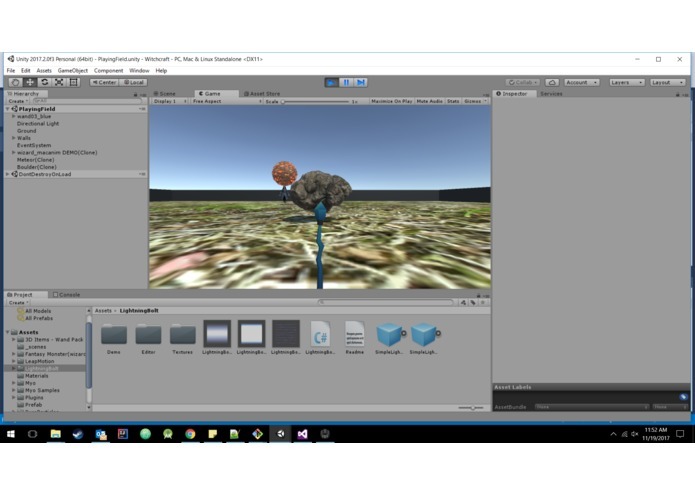 This was built using the Unity Game Engine in which the scripts were written in C#. The Myo armband was integrated with the game to give gesture controlled inputs to the game. Making an interesting gesture controlled game from scratch in less than 12 hours. 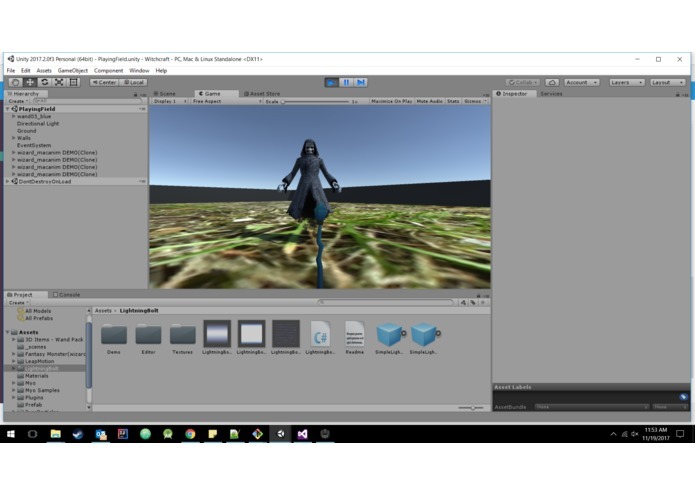 We were completely new to the Unity game engine as well as the Myo armband, but by the end of the Hackathon, we successfully implemented our idea and learned a lot in the process. Programming the AI to compete against users, successfully integrating the game with Myo armband. Coming up with creative spells and implementing them in our game. In the future we want multiple players to compete against each other through a centralized server. We can also add power-ups, special powers, cool-down time between consecutive attacks, and an attractive UI to make it more appealing. In conclusion, we can add a whole lot of stuff to our game and make it bigger and better. I worked on setting up the Myo armband to give gesture controlled inputs to our game. I also worked on the scripts for spells and AI bots.